A whole lot more of Game Awards stuff from all directions of Earth this week as The Australian Game Awards have released their nominees' list and Dylan, Ash and Ciaran try and predict the announcements coming out of Geoff Keighley’s Game Awards. 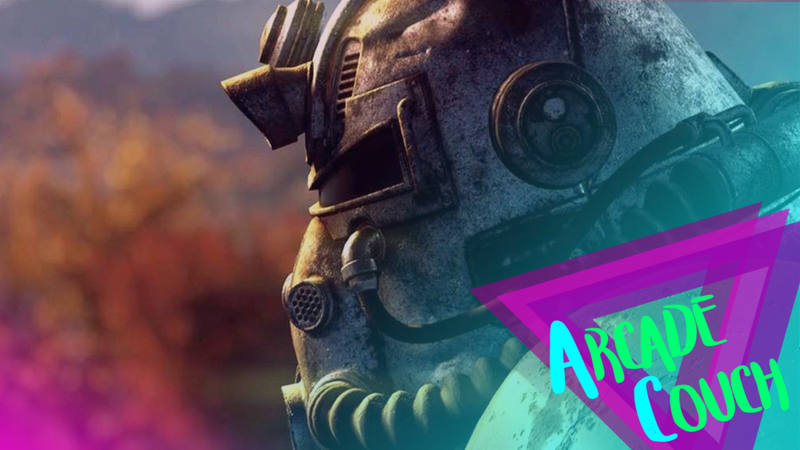 Dylan and Ash have finally put some time in Fallout 76 and break down what they think of the very confusing and messy experience it is right now. Ciaran gives his thoughts on the latest digital card game, Artifact which is based on DOTA. And then Nick drops by the couch to tell Dylan about his time in Red Dead Online. The console that will most likely be known as the PlayStation 5 has been announced (kinda), but what does this mean for Microsoft who was expected to make the first move into next-gen? Respawn Entertainment has revealed their Star Wars game at Star Wars Celebration 2019 and Dylan and Ashley are excited to break down all the details and trailer. Jason Schreier's BioWare piece and behind the scenes story of Anthem's development sparks a lot of questions, but so does Bioware's attitude in response to the question. Dylan, Ashley and Cherie discuss the article and the response from Bioware towards journalists and particularly, Schreier. Apple has announced its video game streaming service titled 'Apple Arcade.' The service will apparently bring 100+ games with a bunch of exclusives to iOS devices. Dylan discusses the news with Cherie and Ashley, two Android users, before bringing in Apple expert, Simon Blackburn of the Apple Slice podcast to break down the finer details of the show. Episode 20 - Stadia: I Can't Believe It's Not A Console! Google have finally revealed how they are entering the gaming space: Stadia, a gaming platform that allows you to stream games on anything with Chrome. Can a service that requires a good, constant internet connection succeed? Dylan has had it with Steam and their inability to take a real stance against games that simply shouldn't be allowed on any self-respecting platform. Brand new Pokemon games are on their way in the form of Pokemon Sword & Pokemon Shield. Both were announced in a Pokemon Direct from Nintendo early Thursday morning and Dylan, Ashley and Cherie break down the new games and starter Pokemon. Dec 9 Episode 06 - Game Awards & Kinda Funny Showcase 2018 Hype! Dec 8 Episode 06 - Game Awards & Kinda Funny Showcase 2018 Hype!